I attach for your information a copy of a letter dated 12 March 2015 from Ms Frances Fitzgerald, T.D., Irish Minister for Justice and Equality, addressed to Mr Bernard J Durkan TD. Shell E&P Ireland says it is still on schedule to have gas flowing from the Corrib Gas Field within the next six months. An 800 metre section of a water discharge pipe, which will carry treated surface water from the terminal at Bellanaboy in north Mayo 12 kilometres out to sea once the plant is opertional, had come loose from the seabed and was floating on the surface of Broadhaven Bay two weeks ago. 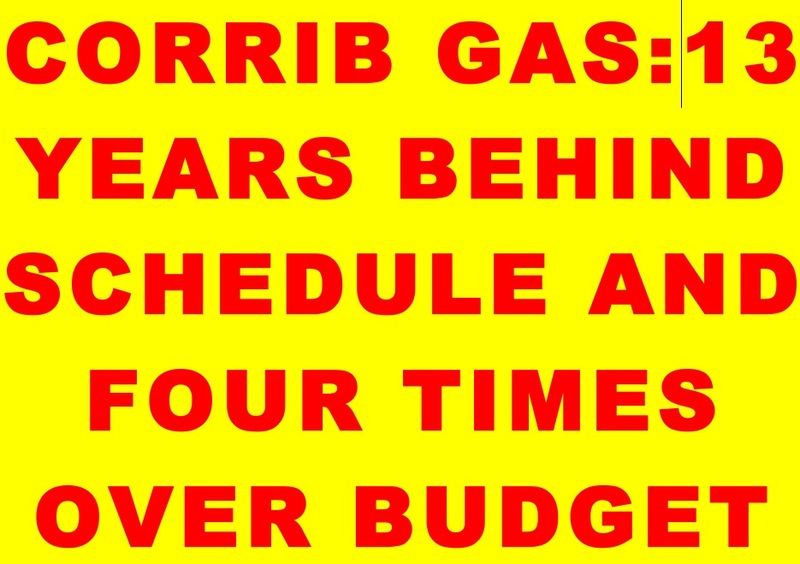 However, the problem has not had any impact on the target date to have gas flowing by the middle of this year. 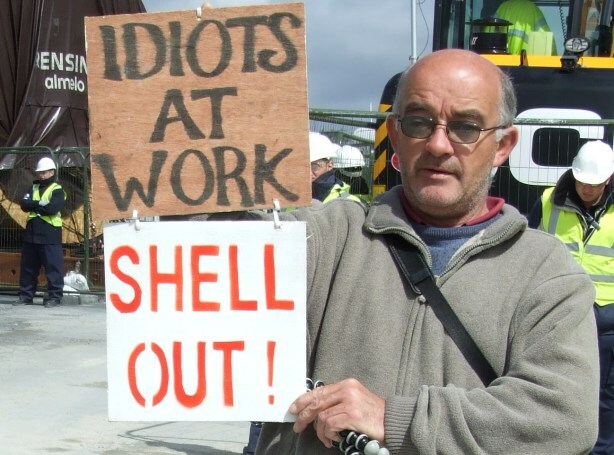 Retired teacher, Micheál Ó Seighin was reluctantly forced into the public spotlight when he was jailed in 2005 over flouting an injunction facilitating Shell’s development of the Corrib Gas project. Here he speaks exclusively to Áine Ryan as the gas is about to come on-stream. AR It is almost 20 years since the Corrib Field was discovered in 1996. Can you bring us back to those early years and how you became involved in the debacle? MOS I know now, as the rig workers did at the time, that the gas field to be called Corrib was well worth developing and would make money. My first introduction to it was an article by Mike Cunningham in the Western People in 1998 pointing out the potential for County Mayo in this new source of development a potential never to be realised. At that stage Broadhaven Bay or its environs or other areas of European designation did not figure in the proposed development and I saw no significance in the moves by Coillte in the summer of 1999 to get legal title to its lands at Ballinaboy, the project’s refinery site. Nor, in 2000, was I aware of the flood of minor legislation passing through the Dáil to facilitate this project specifically. In the early summer of 2000 and then in early autumn the ‘suits’ crowded into the area with models and scenarios and promising ‘goodies and pie in the sky’, buying pints etc. 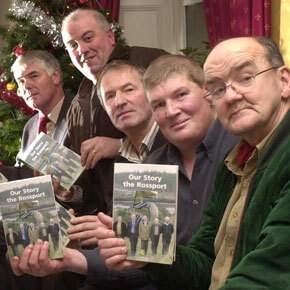 The Catholic Bishop of Kilalla and our local parish priest were charging around like harbingers of the Day of (good) Judgement; obviously we would never see a poor day again; but I personally was very aware of the limited short-time benefit accruing to any community from the extraction of raw materials. Still I was not concerned as I expected a project like that of Kinsale gas but my attitude changed when the [original] developer (Enterprise Oil) applied for planning permission in November 2000 and I saw what they intended to do to us, effectively to launch a heavy metals assault on us from land sea and air. That is how and why I became involved in objecting for the first time in my life. LONG-TIME Shell to Sea campaigner Maura Harrington has described the incident whereby plastic ducting associated with the long-running Corrib gas project was found floating in Broadhaven Bay last Friday as "farcical". Shell E& P Ireland Ltd – the developers of the Corrib gas pipeline and terminal at Bellanaboy -– has stressed that there is no evidence to suggest that the ducting was broken or damaged in any way. The ducting is used to discharge treated surface water from the Bellanaboy terminal in accordance with its licence from the Environmental Protection Agency (EPA)) "This has no impact on the gas pipeline. That is completely separate," the spokesperson stressed. An 800m long section of the ducting, which in its totality extends some 10-12 miles out to open sea, appears to have become dislodged from the sea bed where it had been anchored in place with boulders since 2009. It is thought that recent stormy weather may have resulted in this section rising from the sea bed. An 800m section of Shell pipeline from the Corrib gas processing plant has come loose and is floating under the sea. 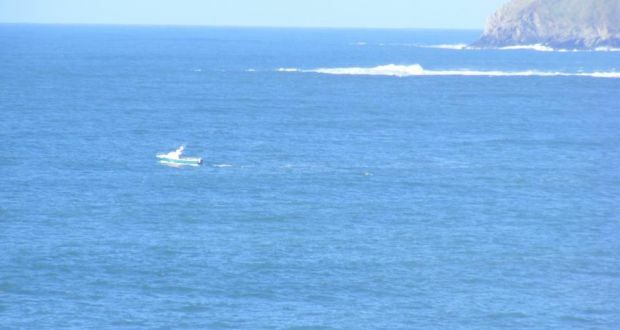 Both Shell Ireland and Environmental Protection Agency (EPA) are investigating the incident off the north Mayo coast. Tá píopa de chuid an chomhlachta Corrib Gas atá lonnaithe amach ó chósta Thuaisceart Mhaigh Eo bogtha ó ghrinneal na farraige agus le feiceáil ar snámh i gCuan an Inbhir faoi láthair. Thart ar 800 slat ar fhad atá an píopa. Tá an Ghníomhaireacht um Chaomhnú Comhshaoil curtha ar an eolas faoin scéal agus tá siad á fhiosrú. An offshore discharge pipe from the Corrib Gas processing plant in north Co Mayo has come loose from the sea bed. A section of piping around 800 metres long is now floating on the surface of Broadhaven Bay. Shell says there is no indication that the pipe has snapped and it appears at this stage that a section has come loose. The pipe carries treated surface water from the Bellanaboy terminal out to sea. It is understood most of the water being pumped out is rainwater that falls at the facility. The Environmental Protection Agency (EPA) is investigating how an outfall pipe from the Corrib gas project has surfaced from the seabed in north Mayo.